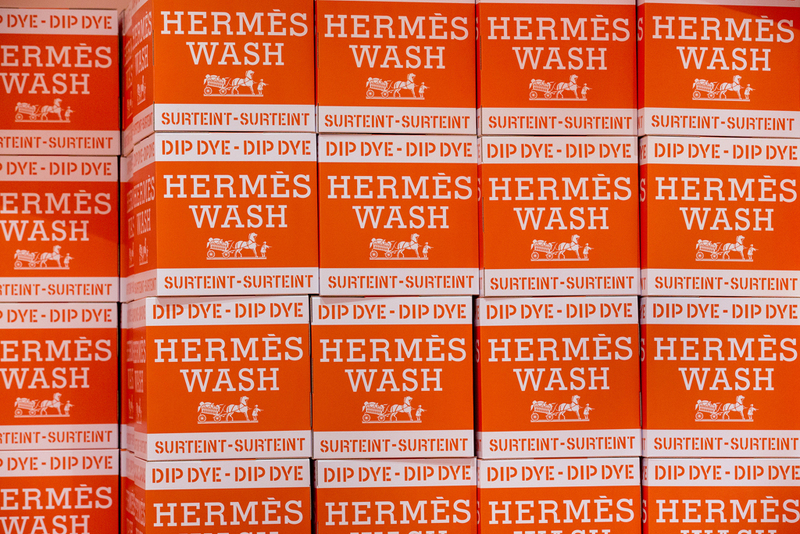 Renowned worldwide for stylish accessories, Hermès is internationally acclaimed and now the luxury brand invites owners of its iconic silk scarves to visit the new Hermèsmatic; a pop-up laundrette giving fans the chance to give their beloved scarves a modern update. Hermèsmatic has enjoyed international success in popular fashion hubs such as New York and Paris, and Hermès are now ready to bring the idea to Manchester, the fashion capital of the North. 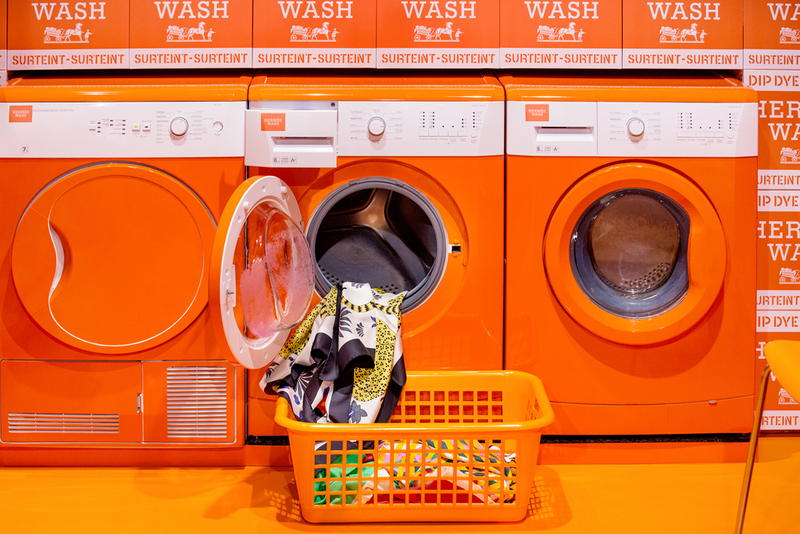 A quirky launderette themed pop up will house specialist Hermès stylists who will provide you with tips on how best to wear your scarf and even the option to add a splash of bold colour. 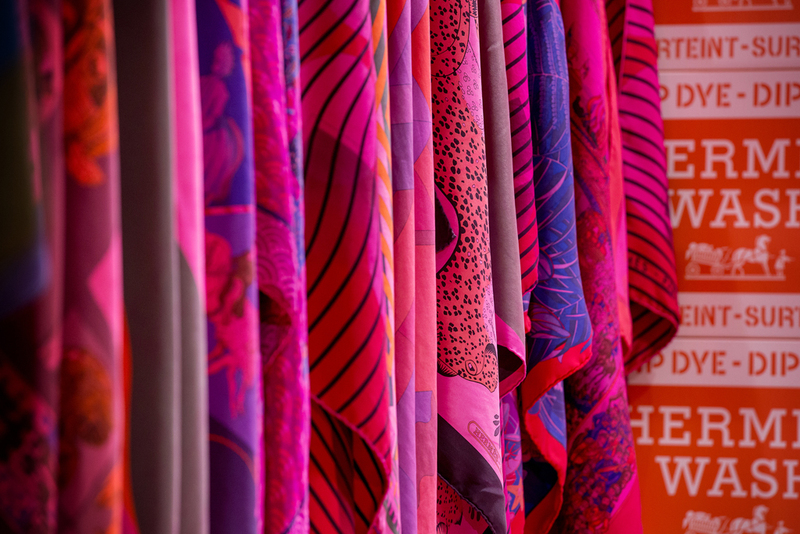 Simply bring along your Hermès silk scarf then choose between vivid fuchsia, powerful red and perhaps even a strong blue finish. Scarves can be dip-dyed to create a personalised, original look reworking the classic in a playful way. The laundrette will also offer silk styling workshops, allowing the experts to dye your scarf to achieve the best possible results. These Fashion Stylists will also give you some expert advice on the multitude of ways in which Hermes’ eponymous accessories can be styled. precise skills, and creating beautiful and innovative objects to last over time in a spirit of constant innovation. led by Pierre-Alexis Dumas, both sixth-generation family members. Hermèsmatic commences as a pop-up store for a week on Thursday, 5th October 2017at the city centre location of 31 King Street in Manchester city centre. Ideal for city centre shoppers and fashion fanatics alike, the King street hub is a short stroll away from the brand’s spot at Selfridge’s Exchange Square main store. "& Other Stories Satin Ivory Liquid Foundation Review"
"Do you remember what you learnt at School?"